The U.S. Open of Surfing had to be shut down Tuesday night and the beach evacuated due to lightning strikes in the area. The beach was cleared around 5 p.m. out of caution when lightning strikes were seen in the Huntington Beach-Costa Mesa area, said Huntington Beach police Officer Angela Bennett. About 40,000 people were cleared away within 20 minutes, officials said. 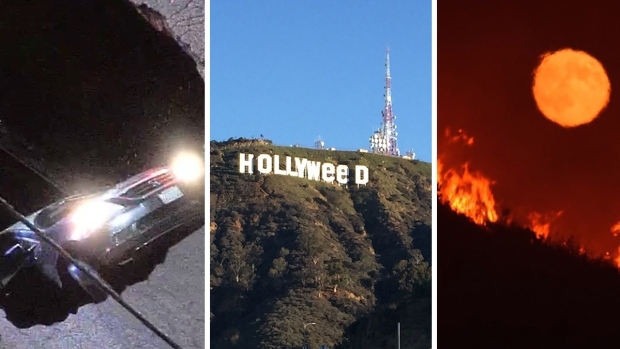 Send your storm videos and photos to isee@nbcla.com or tag them using #NBCLA. The surfing contests had already finished for the day "and about 10 to 15 minutes after that we saw lightning," said Andrew Nichols, a spokesman for the World Surf League. So far, the open has been a success, he said. "It's been great. Really good waves, everybody's ripping," Nichols said. Also Tuesday in San Dimas, lightning hit a power pole and ignited a small fire near Raging Waters, according to fire officials. The lightning strike hit near closing time. Nobody was hurt. 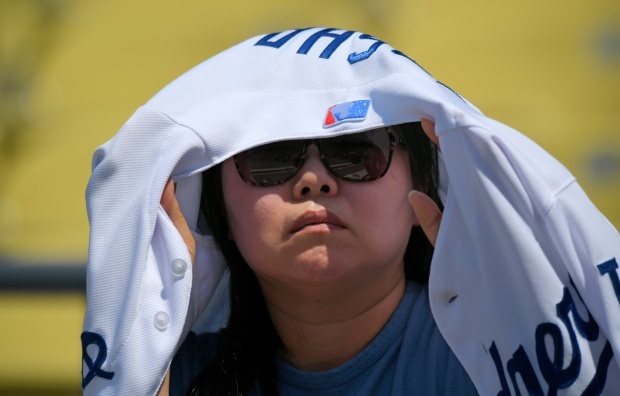 The event was called off during an afternoon of wild weather as a summer monsoon socked Southern California with thunderstorms, high winds, heavy rain and hail. 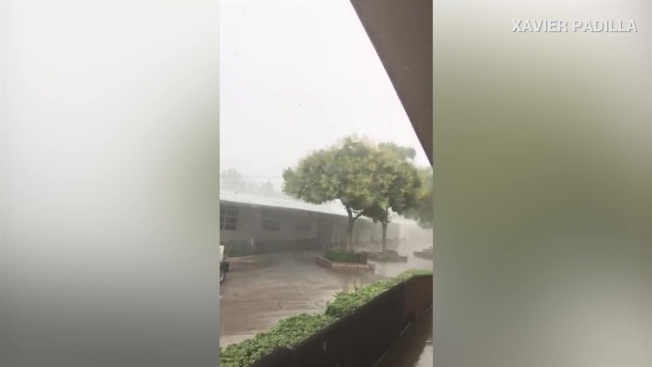 Thunderstorms in western Riverside County triggered roadway flooding, mud slides and debris flows, prompting temporary road closures in several locations. Downpours in Lake Elsinore, Perris and Temecula between 3 p.m. and 4 p.m. led to disruptions on unincorporated streets and on freeways. Near the site of Monday's wildfire on the west end of Lake Elsinore, rapidly flowing water at Grand Avenue and Plumas Street forced the California Highway Patrol to temporarily close off the intersection. At the northbound Interstate 215 connector bridge to the westbound Riverside (91) Freeway, several lanes flooded, creating rush-hour traffic hazards, the CHP reported. In the area of Sharp Road and Spring Street, just west of Perris, debris flows created hazardous driving conditions, and a hard closure was put into effect on Sharp, between Spring and Theda streets, according to reports from the scene. Riverside County Department of Transportation officials also closed Theda Street, between Olive Avenue and Sharp Road, due to flooding. A mudslide was reported along Rainbow Canyon Road, near southbound Interstate 15 in Temecula, according to the CHP. No freeway lanes were closed, however. Heavy flooding was reported in the area of Indian Truck Trail and Temescal Canyon Road, just south of Corona. County officials were assessing whether a closure was necessary. On northbound I-15 at Lake Street in Lake Elsinore, water pooled in all except the fast lane just before 4 p.m., according to the CHP. Motorists were snaking through using the center divider. Satellite images showed the heaviest concentrations of rain in the southwest county area as thunderstorm cells reached maturity. Less intense rainfall reached Corona, Moreno Valley and Riverside, with some cells backing up from the east amid hot and humid conditions.